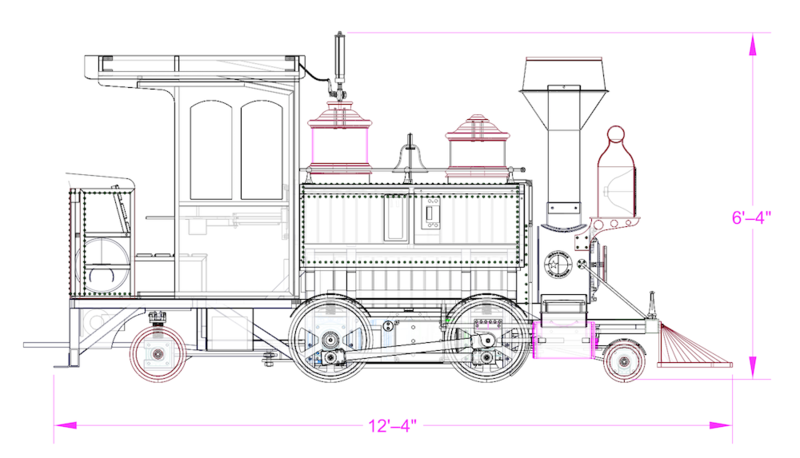 You can personalize the Brazos locomotive with your choice of smokestack, graphics, and color preference. 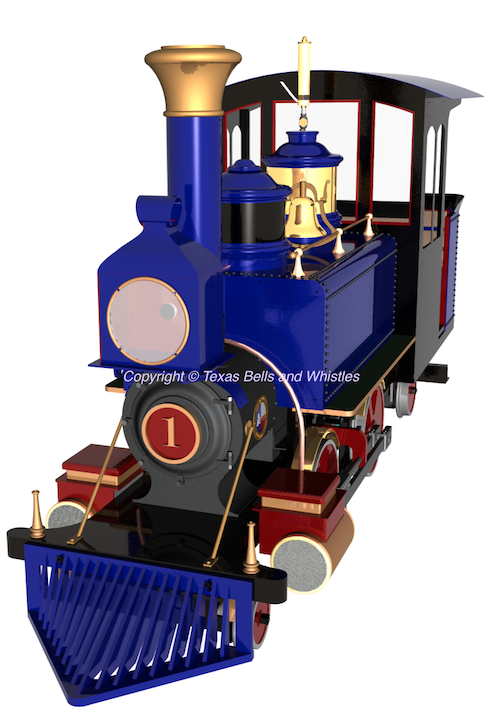 The Brazos is available in three power/range configurations. 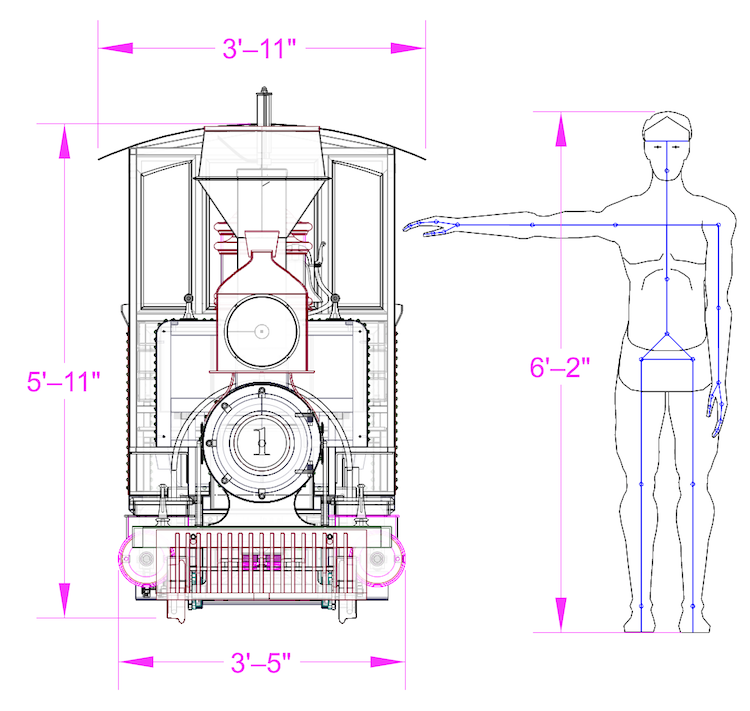 The Brazos is our signature 24-inch gauge locomotive designed from the ground up on our battery-electric drive. 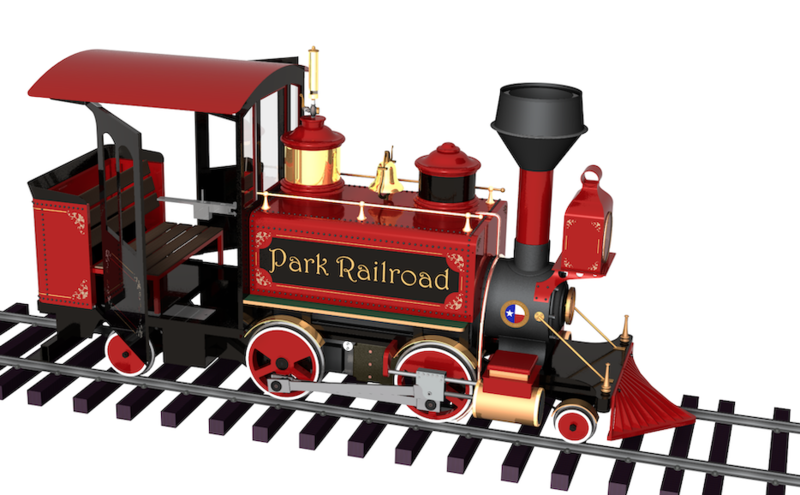 It was inspired by the small locomotives of the late 19th century used to haul passengers at resorts along fashionable beaches of the East Coast and later on elevated transitways of large inner cities. 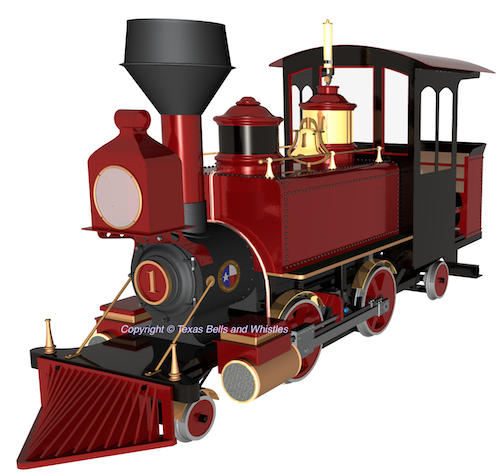 Its small size and concentrated weight on the 4 drivers makes it a perfect locomotive for pulling lots of passengers along a scenic route.